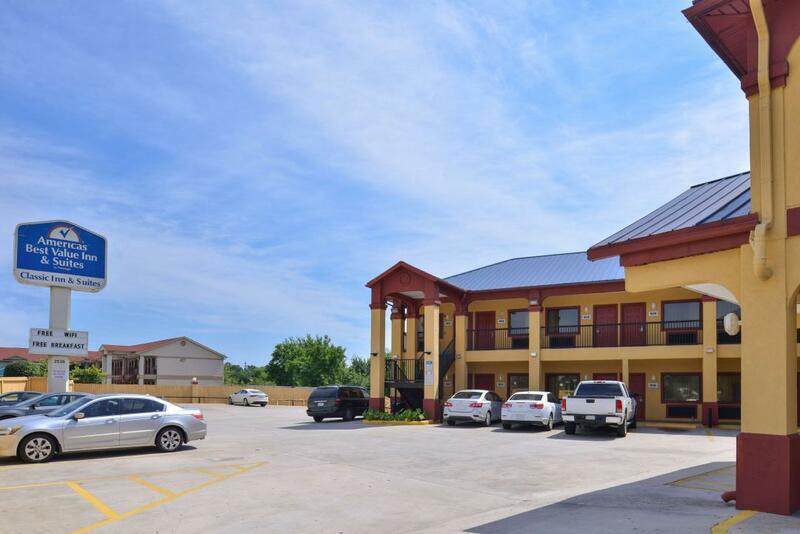 All the comforts of home conveniently located in Houston downtown, just a short drive from the Houston Intercontinental Airport await you at the Americas Best Value Inn and Suites of Houston, TX. For that much deserved vacation getaway or for your business travel needs, our guest rooms are comfortably decorated for your enjoyment. We happily provide free wireless high-speed Internet access, cable TV with HBO, and a complimentary continental breakfast served daily. Twenty-four hour front desk staff and laundry service are available for your convenience. Our courteous staff will make your stay a pleasant one. Houston is best known for N.A.S.A and the Johnson Space Center, which boasts simulated space voyages and mission control panels, teaching people of all ages about space travel. It also houses the Astronaut Gallery, the Mission Status Exhibit, the Starship Gallery and the N.A.S.A. Tram Tour. Bayou Place in downtown Houston features an abundance of international dining and entertainment options. A ride on Houston's Metro Light Rail will take you by the world-renowned Texas Medical Center, the Museum District and Reliant Park. Visitors can also step back in time at Sam Houston Park, where the Heritage Society operates a museum and some historic buildings. Sports fans have a number of professional games to see while visiting Houston, including a baseball game at Minute Maid Park or a football game at Reliant Stadium. America Barbeque and Taqueria, 0.5 mi. Acapulco Oyster Bar, 1 mi. Garden Seafood House, 1.4 mi. Charlies Po Boy's Bar-B-Q, 2.5 mi. Two Rows Restaurant and Brew Pub, 6 mi. Minute Maid Park, 2.6 mi. Heritage Society Sam Houston Park, 3.2 mi. Museum of Fine Arts, 6.8 mi. Children's Museum of Houston, 6.9 mi. Houston Museum of Natural Science, 7.1 mi. University of Houston, 7.5 mi. Six Flags AstroWorld and Water World, 9 mi. Adventure Bay Water Theme Park, 17 mi.